I am dreadfully lonely without you. I am counting the days until you return to me. The photograph of the two of us at the beach is of great comfort. It brings back memories of your tender kisses and warm embrace. 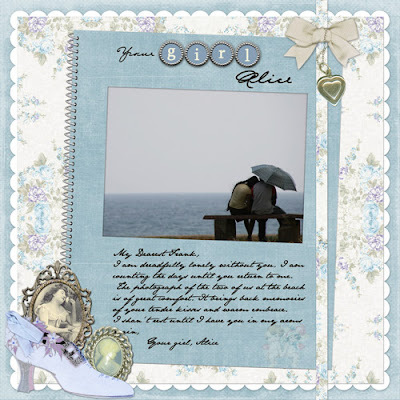 Notebook by Alice Naylor. Page inspired by a sketch by Alice Naylor. Blue paper (recolored, not yet released) by Kathy Moore.